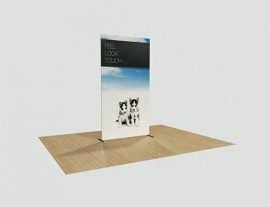 Tenji Concepts has introduced a brand new, innovative display that blurs the line between a Roll up Banner Stand and a Tension fabric wall. The EC Banner is an extremely lightweight tension Fabric Display that provides an ideal alternative for those who just aren’t satisfied with traditional Roll up banners and also require a more affordable, yet equally attractive alternative to Tenji’s Straight Walls, for those who need the style of the wall, but have a tighter budget. 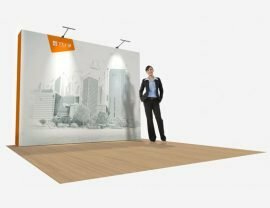 It will give all of your advertising spaces that beautiful appeal that you just cannot achieve with any standard banner, ensuring that you draw in the crowds. The EC Banner excels due it its super lightweight aluminium frame. The ultra thin, yet extremely durable poles of the EC Banner frame ensure that it remain sturdy and keeps its shape, whilst being so light that you can move it around with no effort, whilst being completely assembled. The same Stretch Fabric Technology that is found on all of Tenji’s FLEXAD Displays is used for these incredible Display systems, which in turn gives it a far more stylish and clean look than your Standard Banner Displays or any other alternative. The EC Banner is not only perfect as a standalone display, but each EC Banner will also perfectly complement any of Tenji’s other Displays. 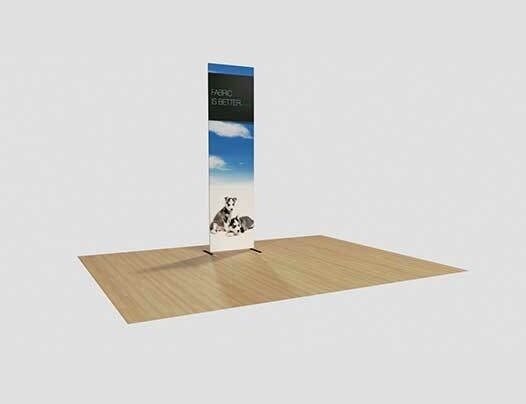 You can use it to add depth and detail to your exhibition booth, mall display or any other advertising space. Multiple EC Banners can also be combined to create your own modular wall designs with endless possibilities. This Amazing System comes in three sizes, 610mm, 850mm or 1220mm wide by 2280mm high. These three sizes can be used individually for an amazing standalone display, or you can mix and match these sizes to add a personalised touch to your displays.